Management is doing things right; leadership is doing the right thing..
Uncategorized Comments Off on Management is doing things right; leadership is doing the right thing..
My first action as President of Warsteiner Importers Agency was to request an internal audit of the brewery. This request was well received by the brewery, and as a result, their accounting firm proceeded to conduct an audit. Given that I inherited a company which was millions in debt, and my charge was to make the agency profitable for the first time in 27 years, I wanted a clean slate as a base line. The next year I had the company profitable, and by 2008, we were paying down the short term debt held by the shareholders. In the third quarter of that year, the agency produced the biggest sales number in its history along with the most profitable quarter ever. It was at this period that Warsteiner had begun to centralize control over each of the countries in which they were selling. In August, I was notified by the brewery of price increases that would ultimately result in a loss of 39% of our sales. After writing the owner regarding my dissatisfaction of this decision, I was called to Germany where I met with the new export director. This man was not from the beer industry and had zero industry experience, but was an instigator of the centralized model. At this meeting he informed me that the new policy was called “four eyes,” which meant that my CFO would now report directly to Germany. I would be over everything else. By this time, this export director had already replaced the senior leader in every country except the US. The four eyes model had become somewhat standard in Europe, and because Warsteiner had discovered a number of ethical issues with some of their previous senior management within their business in Africa and South America, ownership felt it was necessary to switch to this internal control. In that afternoon’s Board meeting I told ownership that I did not support this model. My issue was not with the internal controls, with the individual Warsteiner was hiring to run these operations. While all the other countries were required to operate with their CFO reporting to the brewery, I still had all the financial responsibility because I was still accountable for the financial performance, budgeting, and presentation of the US results to the Board. In January of 2014, the German Cartel announced it was fining five of the largest Germany breweries including Warsteiner, Krombacher, and Veltins $106.5 million euro for collusion. Just recently the cartel announced additional fines of $212.2 million euros to six more German breweries along with seven individuals, also for collusion. Recently MC report that they had discovered some of their executives had falsified invoices and had stolen millions from the brewery. I am sure the industry will be hearing more about this in the coming months. MC has stated they have taken the steps necessary to upgrade their internal systems to prevent this from happing in the future. Perhaps they instituted the European “four eyes” controls which are now in place? The export director at Warsteiner was removed from his position not long after I left, but with the news of the serious fines and collusion of the major German breweries, the question becomes just how high up did this collusion go? Did ownership approve these actions? Given the size of the fines by the cartel, one would assume ownership approved of this, but no names have been published regarding who was fined. MC and these German breweries do not need more internal controls, what they need is strong leaders. Management is doing things right; leadership is doing the right thing. When the opportunity to buy the Schlitz distributorship was first presented to me, I immediately started with future sales projections. This was in 1980, and while the brand was declining, its market share was still around 40%. My original projects included sales that first had growth, than if they went flat and finally, I did what I considered was a worst case scenario, to lose half the current volume. I had also targeted several of the smaller distributors that I was interested in purchasing. At that time, there were nine separate companies selling beer in my market. What I did not project or anticipate was that within two years, the Jos. Schlitz Brewing Co. would sell out to the Stroh’s Brewing Co. At first glance, it gave all the Schlitz wholesalers hope that the future was going to be bright. So much for that. Within two years, it became obvious that this combination of Stroh/Schlitz was not working and many longtime Schlitz distributors began selling out. The Dallas distributor at the time, a longtime friend of mine, sold to Coors because he had lost all faith in Stroh senior management and saw no future. He sold while his business still had excellent volume and high value. Over the decades the industry has seen and experienced the Schlitz/Stroh model many times. National breweries including Pabst, Falstaff, and Hamm’s all sold and combined, as did regional breweries such as Olympia, Rainer, Lone Star, Pearl, Jax, and Schaffer, to name a few. 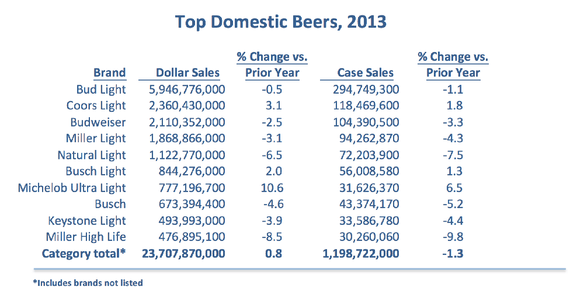 The death of many of these breweries was self-inflicted and their volume became the prey of AB, Miller, and Coors. Death was imminent, so they all sold while some value still existed. At this past week’s Craft Beer Convention in Denver, projections of a total craft share of 20% in six years would mean volume of 37 million bbls. Given sales trends, margin growth, the number of current, new and projected breweries; and then throw in the overall decline of total beer volume, add in the import share of 14%, that means over one third of the industry volume is high end. 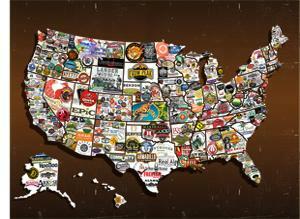 Consider that there are also over 1,800 new breweries in planning. ABI and MC have lost over 17 million bbls in volume since 2008 when InBev bought AB. Both companies’ premium and lights continue to lose volume, while both companies have aggressively added line extensions, flavors, ciders, and other products in an effort to off-set these volume losses. So far, it has not worked. So the question becomes, will history repeat itself as it appears it will? If the crafts continue to grow at their current rate, and given what ABI has done in the past, expect ABI to aggressive pursue buying SABMiller. It is in ABI’s DNA. The US beer industry is close to 50% of the world’s GP for beer, and while both ABI and SABMiller continue to develop China, Africa, and South America the money is here. You can’t strike oil without first getting dirty! During the time I spent at Coors Brewing Co., the brewery was buying distributorships to resell as part as certain covenants made to increase the number of minority ownership of Coors operations. Once purchased, the brewery ran it for a short time than sold it. My first assignment was to run the most recent distributorship they purchased, Ogden, Utah. This particular distributorship had been owned by the same family for about 30 years. The husband, who had been a driver for another small Coors operation in Utah and his wife, got the distributorship in the early 1950s. He was the driver and she ran the office. This was somewhat typical of many early beer operations, family owned and run. 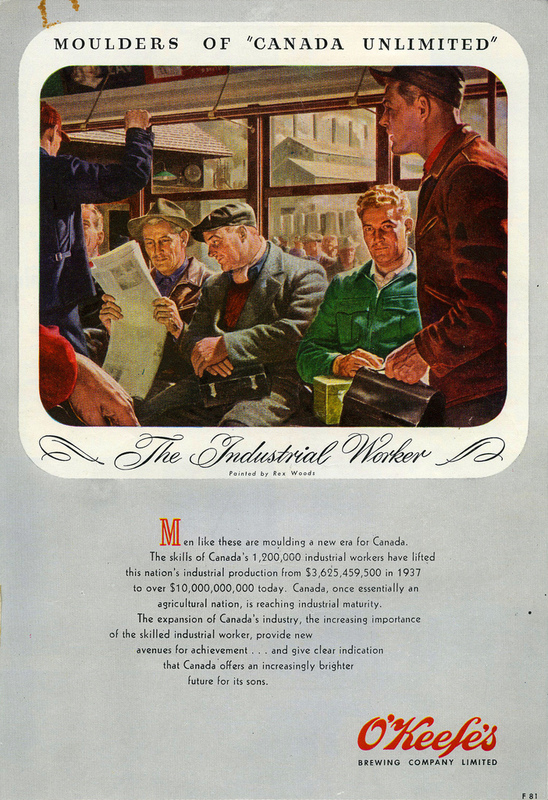 In this case, as Coors’ market share grew, the operation expanded, and many of the family members joined the operation. After a number of years, the husband died, the wife remarried, and her new husband also sold Coors. At the time Coors bought the business, the market share had dropped to the mid 30s from a high of well over 50%. Still a very nice business and the brewery sold the operation after owning it for six months. They are many examples of family operations similar to Ogden, Utah where the husband and wife worked from sun up to sun down, trying to make a living and supporting their family. In addition, there could easily be any number of these small beer operations. Depending on the part of the country you were in, you could see an AB, Schlitz, Pabst, Falstaff, Miller, Coors and a regional or two, all in the same market. Consolidation did, however, finally catch up with these small operations in the late 80s into the 90s. Today the industry is seeing this similar business model with the craft breweries. Most are family owned, with long hours and a great deal of hard work and most hoping to be another Sierra Nevada or New Belgium. Just recently, a wholesaler in Florida told me a story about a young man who had decided to build a craft brewery there. He happened to be the son of a close friend who funded his son’s brewery. The brewery was built and the distributor agreed to handle the beer. Within a short period of time, the wholesaler had been able to get this new craft beer into 20% of all the on premise accounts in his market. Not long after the wholesaler had achieved this level of success, the young man called his father and told him that being the owner of this brewery was not what he wanted to do. He had accepted a job in Phoenix and dropped everything and moved to Arizona, leaving this brewery to his father to shut down. It obviously put the distributor in an awkward situation with the retail trade. After a while, both the father and distributor shut down the brewery and the market moved on. The craft segment has exploded and like the mom and pop distributor operations from years ago many of the startup craft breweries of today know and have experienced what it takes to be successful. But they all must understand that you can’t strike oil without first getting dirty. Like most young people, my first memories of beer took place with my father and grandfather. As a young boy I remember my father opening a Miller beer can in the kitchen one day with a church key opener and he let me smell the hops escape. I had a sip and can still vividly remember the taste. Around the same time, my grandfather took me to a bar off Camp Bowie road in Ft. Worth of which he owned a small portion, and I remember sitting on a bar stool while he sipped on a Pearl Beer on a hot summer Texas afternoon. In recent weeks, the industry has been buzzing over articles that have criticized the craft beer industry for their apparent lack of concern regarding how their beers are named. It has been touted for many of the crafts that the name of the beer, or the graphics on the can, suggest the brewer is deliberately marketing to underage kids. It has been claimed that this illustrates a double standard in the industry, meaning the big brewers have “toed the line” with graphics and yet the crafts do not. After reading these articles one might get the impression that the big boys have a higher ethical standard than the crafts, yet might be losing sales because of this standard. It was also been stated that the TTB has approved these labels. What is the issue if these labels are considered to be legal? An unfair playing field perhaps? One of the attractions of buying the Schlitz distributorship in the Rio Grande Valley was that the territory included South Padre Island. During the early 1980s, SPI was regarded as the second best spring break beach in the US, only behind Ft. Lauderdale, Florida. Every year in March, thousands of kids from Texas and the mid-west, flooded the island all looking for a party. All the big brewers, AB, Schlitz/Stroh, Miller, Coors, etc. spent millions on the island. Teams of brewery sales people conducted events including major concerts, wet t-shirt contests, on premise promotions, free giveaways with all kinds of wearable items, music vans, and almost everything you can imaging. I remember the display contests between the rooms on ground level at many of the hotels on the beach. The kids would build the displays with the empty cans and cases of beer just outside their rooms. Some were very creative. When the LDA changed back to 21 in the early 80s, it did not deter either the kids or the breweries. In fact, SPI continued to grow. While all the breweries claimed to be only supporting events to include LDA kids, it was clear that they all were after the soon-to be LDA drinkers who were also everywhere. 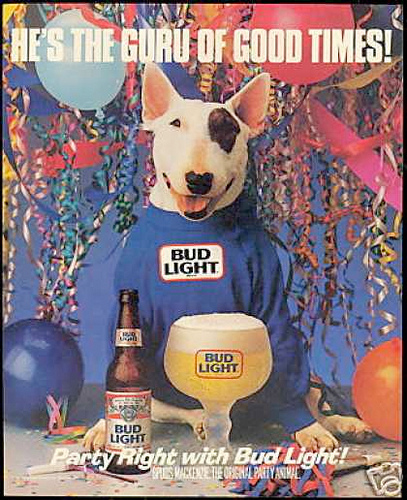 AB’s Spuds Mackenzie was at the fore front of this marketing which soon became highly controversial as critics claimed this was nothing more than targeting underage drinkers. AB eventually dropped the Spuds Mackenzie ads which soon became frogs and lizards. Go figure…. There have been beer labels which some considered over the line for years, including those early ones of Flying Dog Brewing Co. of Colorado. After all these years Flying Dog is still around just like SPI and spring break, so when I read about craft breweries targeting underage drinkers and having an unfair advantage over the big boys all I do is LOL! It’s all real estate on the shelf…..
Last year, one of my former national account managers had an interview with a small, but successful importer. The national account manager had been unemployed for almost a year even though he had years of chain experience. He was in his mid-fifties. The interview took place in Washington DC, and as it turned out, he arrived along with seven other candidates, all much younger than he, and all claimed to have chain experience. They each were given a case study and asked to create a chain presentation. The importer, led by a young sales manager, had been struggling in recent years, especially with the chains. The company realized they needed help outside of “feet on the street” sales people. The sales manager, to his credit, after reviewing all the presentations, realized that clearly the work submitted by the senior national account pro was just what he needed. The account pro was hired and sales are now moving upward. In a recent conversation with a highly experienced national account manager for a major craft brewer, he commented that when he competes against smaller craft breweries in chain presentations, he always achieves his goal. Lack of experience and retail knowledge was apparent. While small local and regional crafts are experiencing success in the on premise, off-premise chain remains the domain of the big boys. The challenge for these small but growing craft breweries, along with many importers, even those importers who have been around for some time, is just how they can grab some of this real estate on the shelf. For example, I recently received an email from a contract craft brewer regarding Jewel/Osco. The chain is looking at the brewers products but did not have any of their pricing. The national sales manager stated he did not know he had to submit it! This story is classic in that it illustrates why the crafts share in the off-premise is much less than the on premise. There are two reasons for this: one is the total lack of internal knowledge, skill sets, and unwillingness to hire and retain industry chain experts. Secondly, this craft brewer chose to have their brands distributed by a start-up wholesaler who, obviously, cannot provide assistance in the chains either. One of the first questions always asked by either a MC or ABI wholesaler when reviewing possible new brands, either import or craft, is “what chain authorizations do you currently have?” Having a number of authorizations helps the wholesaler determine if either the brand has legs or the brewer/importer knows what they are doing. Either way, until the crafts come to the realization that in order to grow and expand, a sizable investment in developing the off premise is necessary, the crafts that do not, will continue to live in the world of self-distribution or package stores, in limited off premise accounts.